A perfect jumper for any party or event! 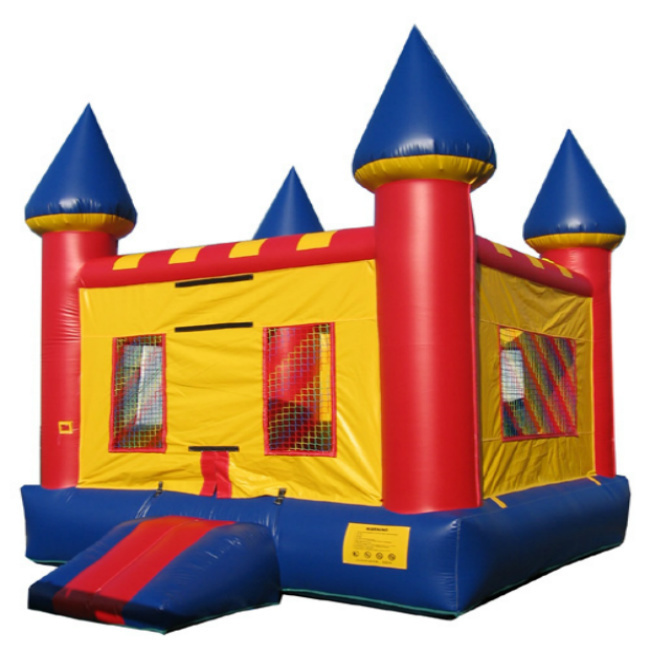 This large basic bouncer is fun for guests of all ages. It's a roomy, colorful bounce house with mesh windows on all 4 sides for easy viewing and cross ventilation. It features an entrance step to help smaller kids get in and out easily. The colorful design goes well with any party theme, and works equally well for boys or girls. You can safely fit up to 10 kids inside at a time.